Berkley's Digital Lip Grip Scale is the safe and easy way to land, handle and weigh fish up to 30lbs. This scale features grip swivels independently of the handle for safe and secure handling of your fish. 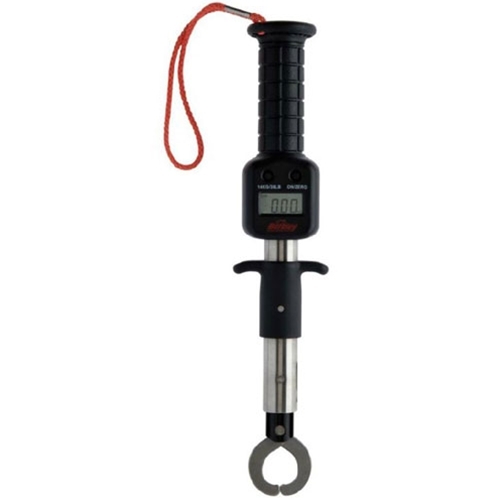 The Lip Grip Scale is constructed of stainless steel and ABS impact resistant.